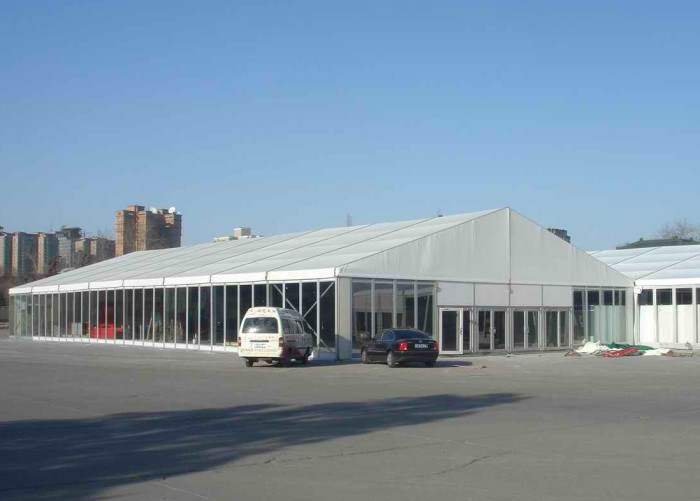 Widely used 20x50m large high class glass wall exhibition show tent, fair tent with heavy duty aluminum structure. 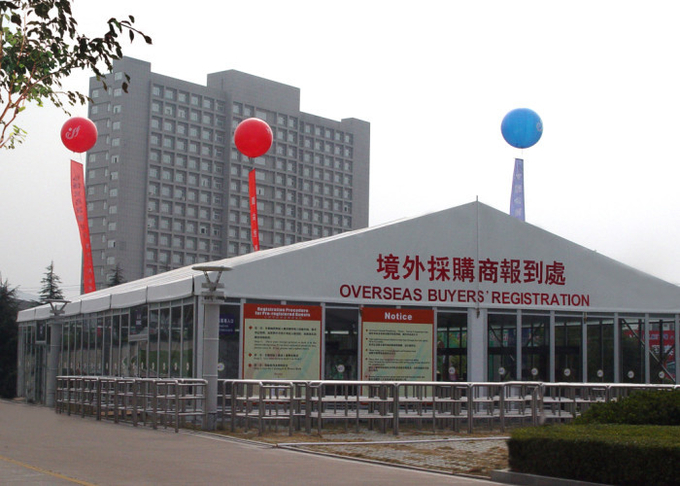 20x50m aluminum structure tent is widely used for exhibition and fairs. This tent is made of glass walls and glass doors which make the show high class. It’s with expand screw for fixing on concrete ground or steel anchors for fixing on the lawn. The roof cover are with white high quality double PVC-coated polyester textile, 100% waterproof, flame retardant to DIN4102 B1, M2, CFM, UV resistant, tear resistant, self-cleaning ability, etc. The side cover is with glass walls and glass doors, it can be replaced by sandwich walls or solid abs walls, white pvc side walls. 3. For ground that cannot be destroyed, such as tile floor and wooden flooring, we can provide weight plate for fixing. 2. The tent is put up by screws, easy to be assembled and dismantled. This tent can even be put up by hand. 3. The glass walls and glass doors can be easily taken off to replace other material. 5. The parts can be taken down, which is easy to transport and store.